Michelle Madow: Black Friday Book Bonanza Giveaway Blog Hop! Black Friday Book Bonanza Giveaway Blog Hop! 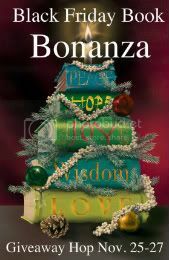 Welcome to my giveaway for the Black Friday Book Bonanza Giveaway Blog Hop hosted by Book Savvy Babe. Be sure to click her link to check out the other blogs participating in this giveaway! For this giveaway I'm giving away an e-version of my young adult novel, Remembrance! There are four ways you can enter, which you can do on the Rafflecopter form below. The giveaway will be open from November 25-27. Good luck! Thank you for the awesome giveaway opportunity!! I am dying to read this book thanks for the giveaway.